Representative Honours: Ireland: 3 Full Caps (1924-1925). Irish Free State: 3 Full Caps (1931-1934). Club Honours: (with NY Nationals) US National Cup Winner 1928; Lewis Cup Winner 1928/29; (with Shelbourne) League of Ireland Champion 1930/31; (with Cork) Irish Free State Cup Winner 1933/34. *Scottish League Division One Appearances only (20/21-21/22), total games from 1922/23 possibly 23/5. Born in Enniskillen, Harry Chatton moved to Scotland with his family as a child. A commanding centre-half, he was playing in the Scottish League with Partick Thistle when the IFA selectors first called him up in October 1924 for a Home Nations game with England. He won two further caps for the IFA, against Scotland the following February, and again against England in October 1925. In 1926 Chatton was one of many British players lured by the dollar of the American Soccer League. After a season with Indiana Flooring he sought to return home to sign for Hearts, but the move was blocked by FIFA after a protest from the USFA. Instead Chatton moved back across to the Atlantic, by which time Indiana had relocated to New York where they were to play as the Nationals. In three seasons with the Nationals, Chatton enjoyed successes in the the US National Cup (now the Lamar Hunt US Open Cup) and in the Lewis Cup (the ASL's league cup competition). In March 1929 he had been reported as suspended "forever" by the USFA owing to "activities in connection with the working of New York Nationals" but this appears to have been a short-lived ban. After returning to play in Ireland with Shelbourne, Chatton was selected by the FAI for a game against Spain on 26th April 1931. That summer he returned to Scotland to play for Dumbarton and on 13th December he captained the FAI’s team in the return game against Spain. 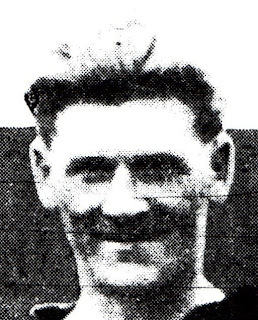 Chatton’s third and final FAI cap was won in 1934, whilst playing for Cork, in a 5-2 defeat by Holland. His first two caps had been as left-half, and the last at right-back. Thanks to stuthejag and Roy Cathcart for the pictures.